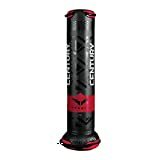 Looking to find out some info on Centurys’ fight simulator range? Great! You’ve come to the right place! Throughout our Century Versys review we’re going to be taking a look at the 3 different models, who they’re meant for and whether or not they’re worth the investment. The first model we’re going to be taking a look at in our Versys Fight Simulator review is the VS.1. 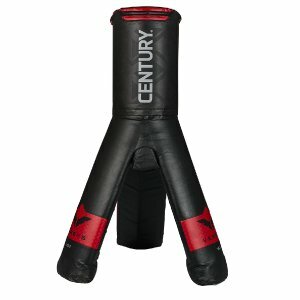 Century have managed to create one of the most versatile free standing heavy bags on the market. The Versys VS.1 is essentially a blend between a free standing punching bag and a grappling dummy. 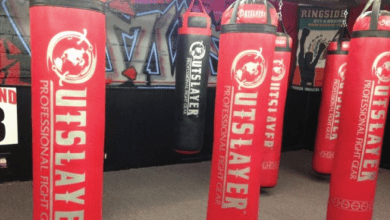 Weighing only 112lb, the bag can easily be thrown to the ground, allowing you to practice combing strikes, takedowns and transitioning to the floor. Unlike traditional freestanding bags, the base for the VS.1 is fairly small which allows the bag to be taken to the ground easily. If you’re looking for an awesome, all round free standing bag then look no further. Century have designed the VS.1 with all disciplines in mind. So whether you’re a grappler or a striker, the Versys fight simulator has something to offer. Located at both the top and the bottom of the bag are a pair of handles. 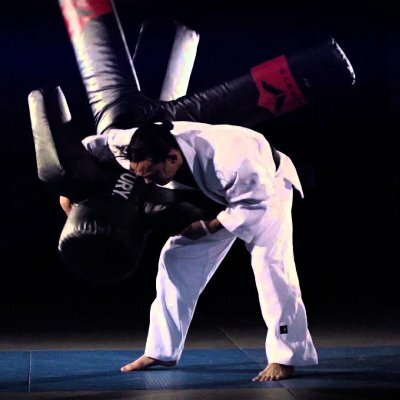 These handles can be used to work on your grappling techniques such as throws and takedowns as well as to train striking in the clinch position. The bag itself measures 66inches tall, with the entirety of the surface area covered in shock absorbing foam. This allows you to practice striking at multiple height different levels, for example you can comfortably throw both low and high kicks. This is something that isn’t possible on many free standing bags out there as there is usually a pole in the way connecting th bag to the base. Due to the fact that the Versys VS.1 is so lightweight, it isn’t really suitable for drilling high powered explosive strikes. Instead, it is more designed for working on endurance, technique and transitions to the ground. 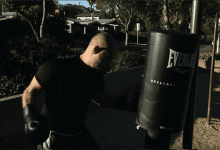 I’ve actually got one of these at home and usually spend 10-minutes light striking, 10-minutes combining strikes with take downs and finish with 10-minutes ground work drills. Not only is that a great way to instil and maintain muscle memory, it’s both fun and a pretty intense workout. I honestly can’t think of another bag on the market that has so much to offer. 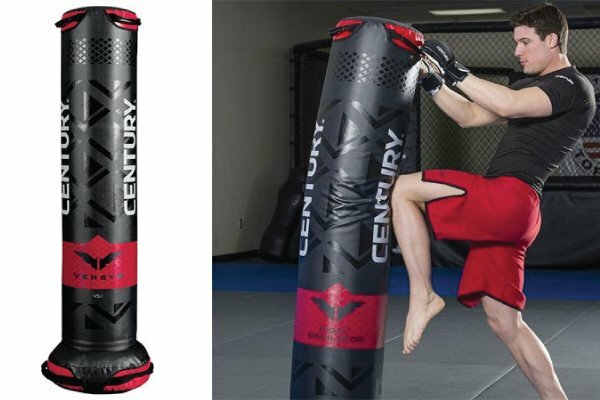 Century are fairly well known for producing some of the highest quality martial arts gear on the market, with the Versys Fight Simulator being no exception. The Versys comes with the base already filled, which is a massive bonus as it saves you from having to do that yourself. Most free standing bags require you to fill the base with either water or sand, which can get pretty messy and takes a fair amount of time. The VS.1 is the cheapest of the Century Versys range and when you consider the versatility and quality it has to offer, makes it incredibly great value for money. Moving onto the second model in our Century Versys Fight Simulator review, the VS.2 model. The Century Versys VS.2 is one of the first standing, grappling dummies on the market. 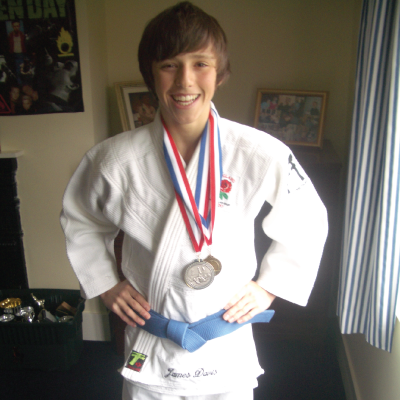 This in turn makes it a fantastic choice for those you looking to practice your Judo, BJJ wrestling and MMA. With the VS.2 featuring both 2 arms and 2 legs, you’re able to perform submissions such as arm bars and leg locks as well as takedowns and throws. 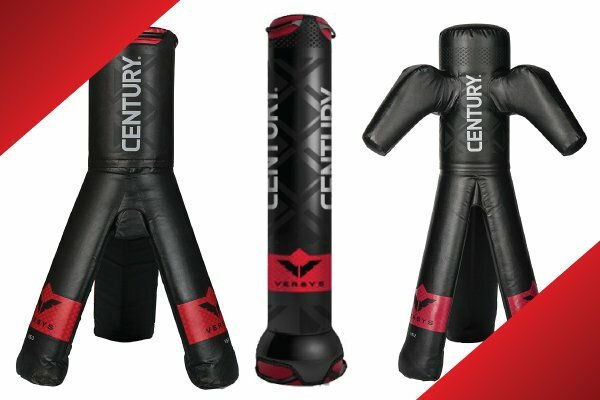 The Century Versys VS.2 is designed to stand up on its own and is tailored towards training different grappling techniques, making it a fantastic choice for those you looking to practice your Judo, BJJ wrestling and MMA. I honestly love how it’s able to stand up on its own. This makes training with the VS.2 a lot more realistic than using other grappling dummies where you have to hold them up yourself. 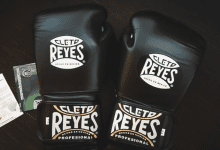 Although the bag is well padded, it isn’t the best for working on your striking. This is because it only weighs around 50lb so it topples over pretty easily if hit with too much force. Having said that, once you’re on the floor, it’s a great way to work on your ground and pound as well as transitioning from stand up to ground work. One of the only bad things I have to say about the Versys VS.2 is that it’s a bit short. Measuring at 60 inches, it’s going to feel a bit on the shorter side for most people. Fortunately, I’m not the tallest guy in the world but it’s something to be aware of. 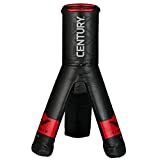 As I mentioned earlier, Century are well known for their high quality products. The VS.2 features incredibly flexible and long lasting vinyl material that allows the bag to hold its shape incredibly well. If for example, you’re drilling submission techniques on the ground, the VS.3 is able to pop back into position once you’ve finished. In terms of wear and tear, there’s really nothing like it on the market. A few grappling dummies I’ve owned have worn down insanely quickly and have even ripped in some places. I’ve had my VS.2 for a fair while now and it’s holding up extremely well. 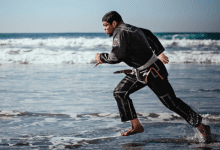 Any grappling dummy is going to set you back a fair chunk of change, however with the quality of the Versys range you can rest easy knowing its worth every penny. The price of these bags will continue to drop over time as Century continue to release newer and more innovative products. Moving onto the third and final model of our Century Versys review, well done if you’ve made it this far! The Century Versys VS.3 fight simulator is pretty similar in terms of looks to the VS.2 model, however you may notice that it doesn’t have any ‘arms’. 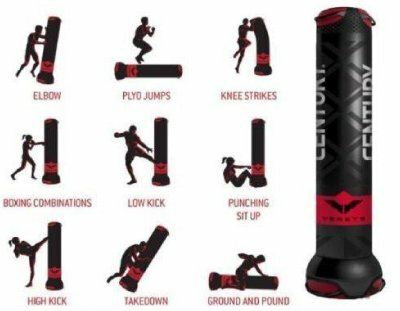 Where the VS.2 is designed for grappling, the VS.3 is designed for a more rounded training experience, offering users the opportunity to work on both striking and grappling at the same time. The ag weighs in at around 100lb and measures 69inches tall, making it the tallest of the three models. Despite being taller, the it’s actually 10lb lighter than the VS.1. 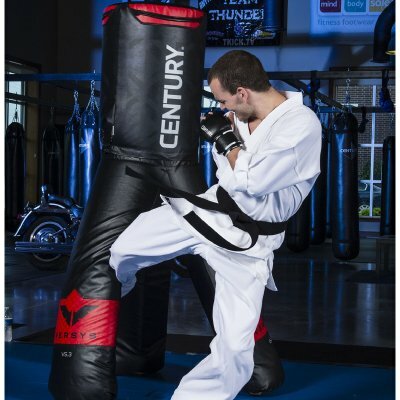 The Century Versys Fight Simulator features two handles located at the top of the bag, which allows you to practice throwing knees from the clinch as well as a variety of throws and take downs. What I love about both the VS.2 and the VS.3 is the position of their ‘legs’ that allow you to practice throwing strikes at a variety of different height levels. I especially like how you can throw inside leg kicks on the VS.3 as they can’t normally be thrown on a bag due to their design. The Century Versys VS.3 also features the same, patented 3-leg design as the VS.2. This keeps the bag extremely sturdy and helps to prevent it from toppling over when struck. ​Having said that, the bag is fair lightweight and isn’t designed for drilling full powered strikes. Instead it’s more suited for working on your cardio and technique and to maintain muscle memory. The Century Versys Fight Simulator VS.3 maintains the same high quality build that we’ve seen across all of the Versys models. Again, it features the same flexible and durable vinyl material that allows the bag to maintain its position well. 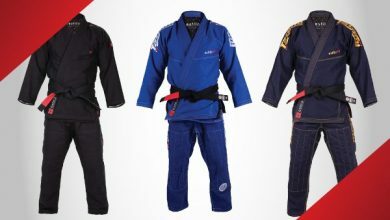 Of course all martial arts gear is going to wear down eventually, however I’ve always been impressed by how long Century products tend to last. If you’ve got any concerns in quality, read the plethora of reviews on Amazon and on forums online, as I’m sure they’ll be saying something similar. The VS.3 is, unfortunately the most expensive model in the Versys range. 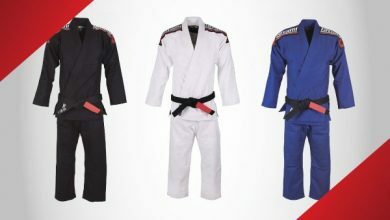 Any, high quality piece of martial arts gear is going to cost a fair amount, however the VS.3 is particularly expensive. How Does the Century VS.1 Arrive? The bag arrives in two parts, the body and the base, with the base already filled. The bag is filled with foam and the base is filled with sand. The foam is high density and allow does bend slightly, quickly reverts back to its original shape. 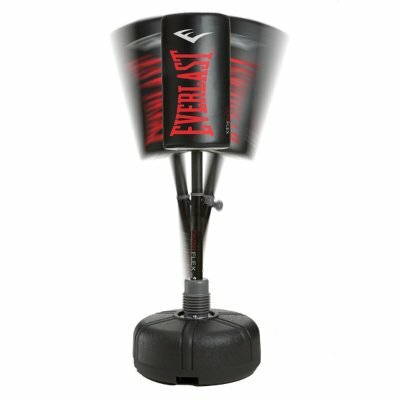 If you're looking for a more traditional free standing heavy bag, then I recommend the Everlast Omniflex. 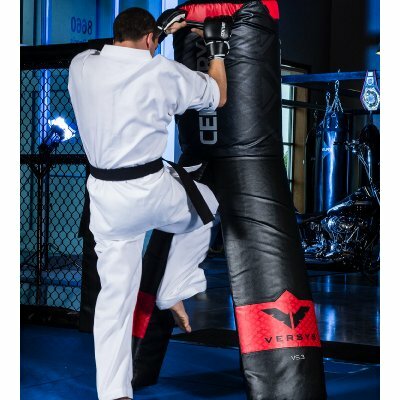 It's an affordable, high quality free standing punching bag that's perfect for martial artists looking to work on their striking technique. 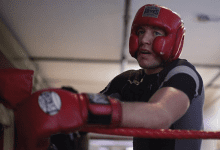 For more information, you can head over to our full Everlast Omniflex review. 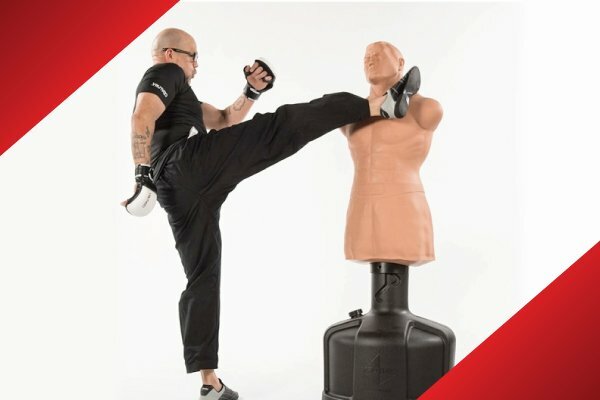 There’s simply no denying the fact that the Versys Fight Simulator range offers martial arts practitioners an incredibly well rounded experience. The bags are made to an exceptionally high standard and despite costing a fair amount, are well worth the investment. Thanks for taking the time to read our Century Versys Fight Simulator review, if you’ve got any questions at all please drop them in the comment section below. Product images courtesy of Amazon.com and CenturyMartialArts.com. 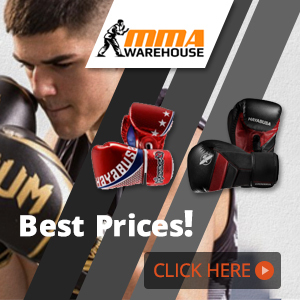 Featured image by Amazon.com, adapted by MMA Station. 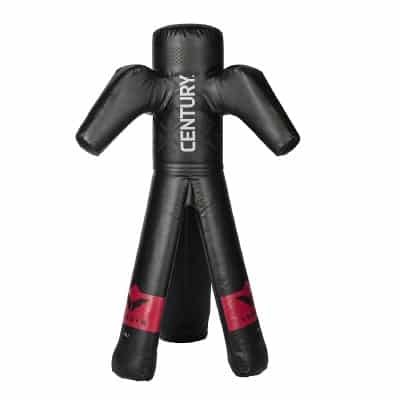 The Versys series by Century is the most versatile range of free standing heavy bags/ dummies on the market. 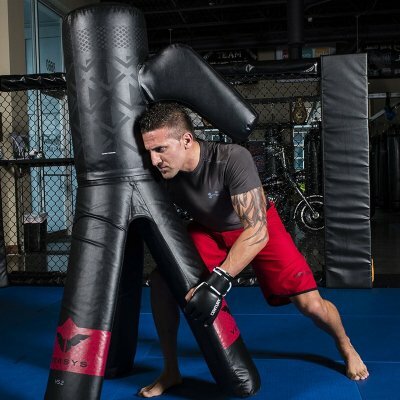 Built to an exceptional standard, you'll struggle to find a better bag suited to an MMA fighter.